It was high-stakes racing last night at the Undera Speedway track, as competitors were primed to score valuable 2017 Australian Speedway Senior Solo Championship points ahead of the all-important upcoming final round at Kurri Kurri this Saturday 14th January. Just shy of two thousand spectators patiently waited until sundown for the 8:30pm start time, which was well worth the wait to witness the gifted talent pool that were about to put on an incredible two and half hour show before their very eyes. Action packed, drama filled heats ensued, including a race restart in Heat 9 due to bunching up and interference of the field in which Jaimon Lidsey went down without injury, then restarting with the pack. David Watt dropped a chain in Heat 14, dashing his confidence on the back of his victory at Gillman, Ty Proctor’s machine suffering the same fate in Heat 17. The B Final saw Nick Morris crashing out on the opener, forcing a restart without him, the drama not stopping there. 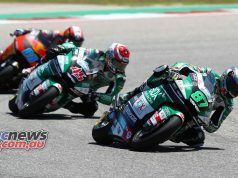 Brady Kurtz wiped out and retired on the third lap leaving local man, Max Fricke and Jack Holder to duke it out for line honours – Fricke taking the B Final flag and moving on to the A. 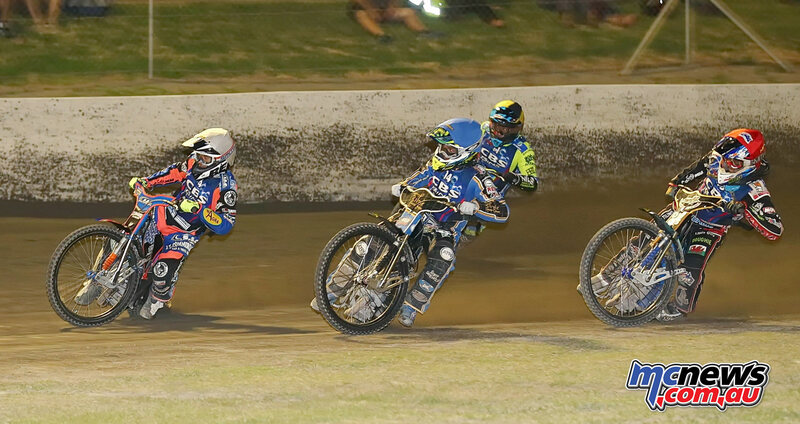 The concluding race of the night included Justin Sedgmen, Sam Masters, Max Fricke and Troy Batchelor. Sedgmen, who is still without a ride in this year’s British Speedway Championship, pulled out all the stops in the A Final, that played out at lightning speed and high intensity. The final round of the 2017 Australian Championship moves up to Kurri Kurri, New South Wales, this Saturday 14th January. 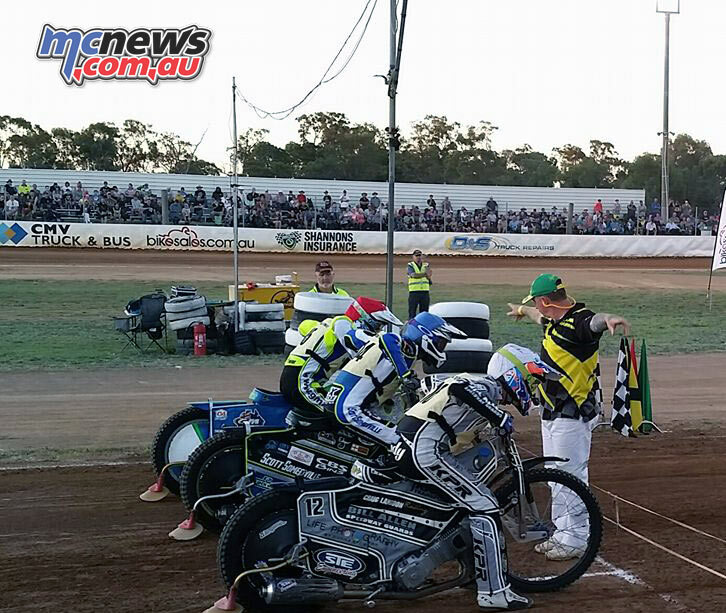 BatchelorKeep up to date with the 2017 Australian Speedway Championship by heading to the Motorcycling Australia website for results, pictures and all the news. As always, follow us on the Motorcycling Australia Facebook and Instagram pages.